“Day after day, thousands of JCPS teachers spend themselves trying to ignite curiosity in their students. On their best days, they get to see a struggling student have an ‘Aha’ moment and master a foundational concept. We don’t want that important, amazing transfer of knowledge to be overshadowed,” wrote Jim Allen, chairman and CEO of Hilliard Lyons. Public school teaching can be a deeply rewarding, though tough, job. But all too often, the vital contributions that teachers make go unrecognized. Hilliard Lyons, a wealth-management firm based in Louisville, Ky., wants to change that by recognizing top performers in the public schools. For the last five years, the firm has spearheaded the presentation of a slate of awards to spotlight outstanding teachers and principals in the Jefferson County Public Schools (JCPS) system. This year’s awards ceremony was held April 27 in Louisville. 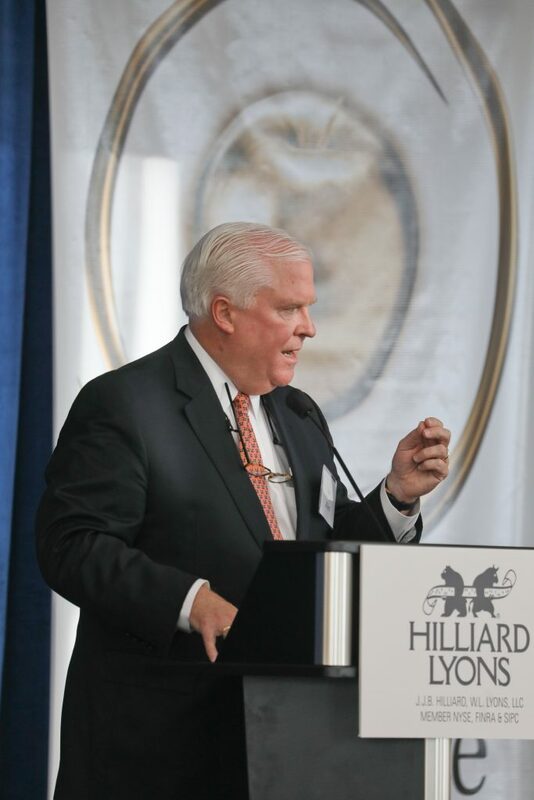 Jim Allen, chairman and CEO of Hilliard, has said the awards were intended to provide support and recognition to people who do a difficult but deeply important job. “Teachers, they’re human, and they become frustrated that they might be the target of criticism that they’re not doing their job effectively, they’re not making enough progress, when in reality they really are having an impact on the lives of these kids,” Allen explained in a 2015 interview. With more than 100,000 students, the JCPS system is the largest in Kentucky. 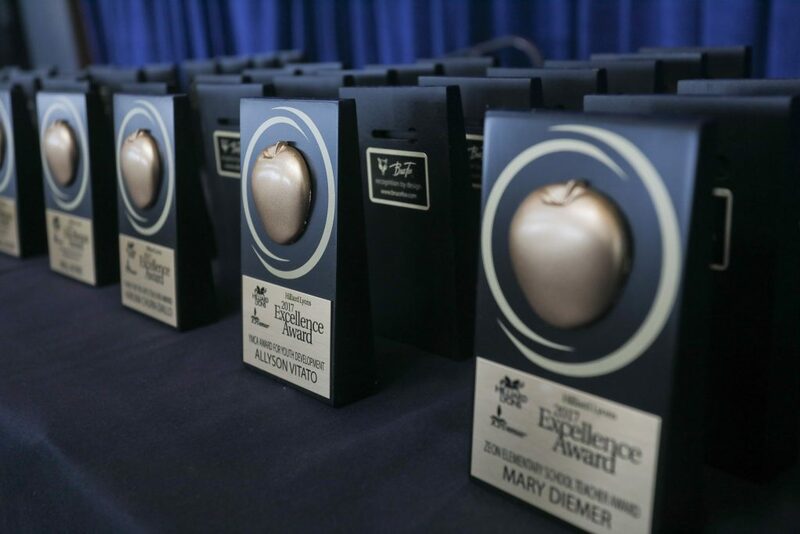 Hilliard Lyons launched its Excellence Awards in Recognition of Outstanding Teaching Performance in 2013 to shine a light on the impact Louisville-area educators have in the classroom and in the lives of their students. In addition to public recognition, honorees receive cash awards ranging from $1,000 to $2,000. The awards program, which Allen describes as “the Academy Awards for Louisville public school teachers,” recognizes approximately 50 teachers and school administrators each year. Here is a full list of the 2017 honorees and their school affiliation. Award nominations are submitted via the JCPS website, with principals nominating teachers and assistant superintendents nominating principals. In addition, three of the teaching awards are based on student nominations. The nominations are reviewed by a committee of business and community leaders who select the final honorees. Educators at all grade levels are eligible for consideration. Allen, who has advocated for stronger school standards and is chairman of the Jefferson County Educational Foundation, emphasizes that support for public schools requires something more than simply paying lip service to the importance of education. It requires a commitment to collaboration and support from the entire community. While it’s easy to criticize public schooling, Allen argued in a 2016 USA Today op-ed, critics shouldn’t diminish the good work that teachers are doing every day. Louisville Mayor Greg Fischer has been supportive of the program, and offered remarks at this year’s awards ceremony. The Hilliard Lyons awards underscore the fact that there’s a strong business and economic reason for supporting public education. Today’s students will be tomorrow’s employees, executives, consumers, taxpayers, voters and community leaders—and giving them the right start in their education is essential to helping them to perform at the highest levels when they enter the workforce as adults. The awards set a positive example for how private sector leaders can honor the people who play a critical role in preparing the next generation for careers and the responsibilities of adulthood, but whose efforts are too often taken for granted. Here’s hoping others will follow Hilliard’s example in their own communities.